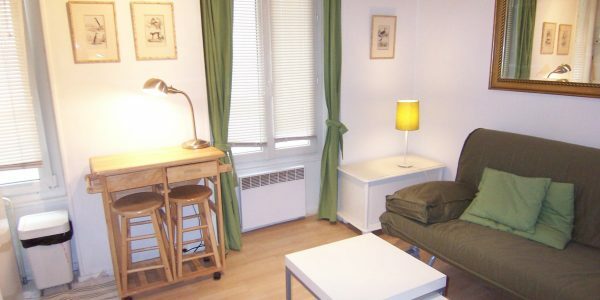 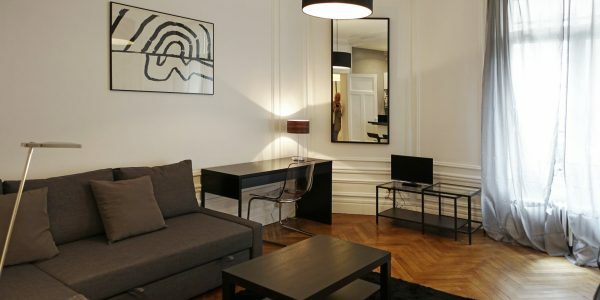 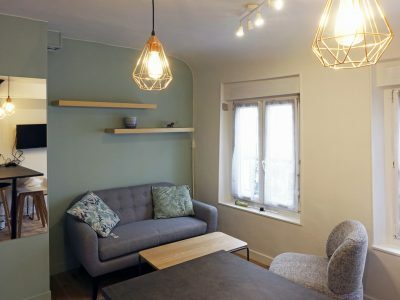 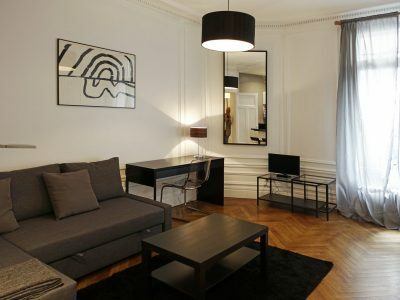 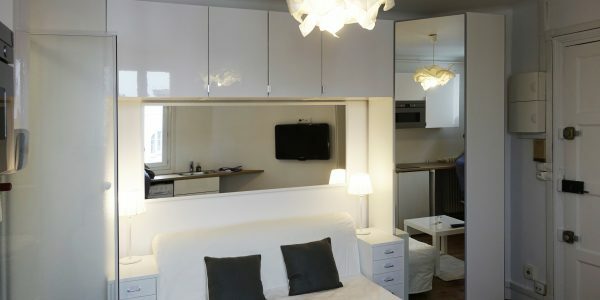 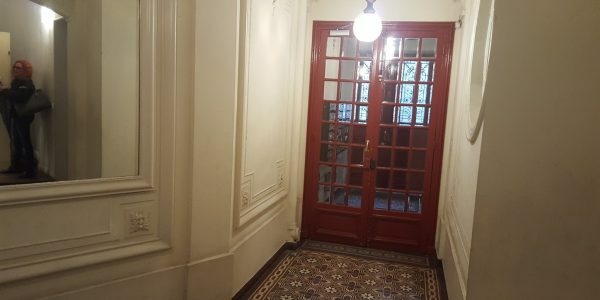 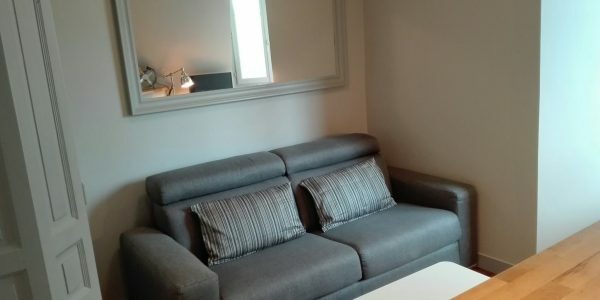 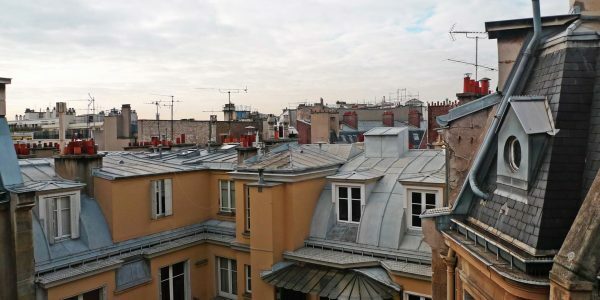 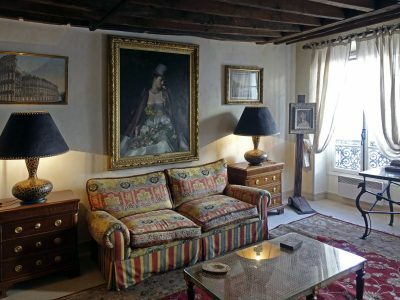 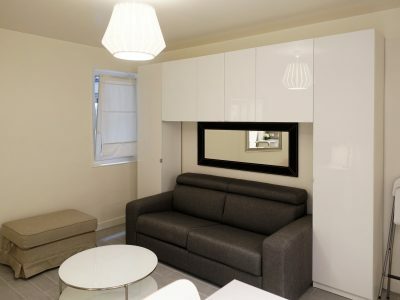 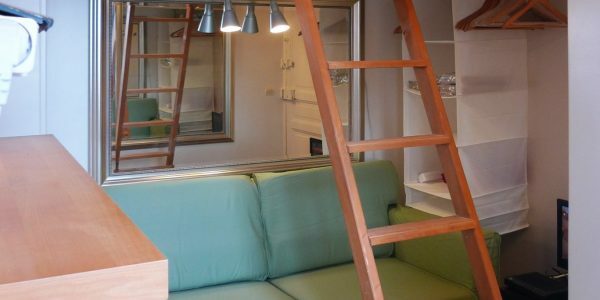 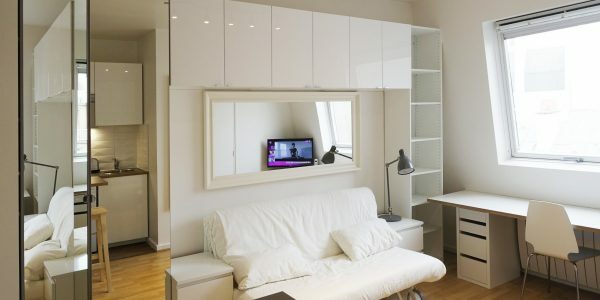 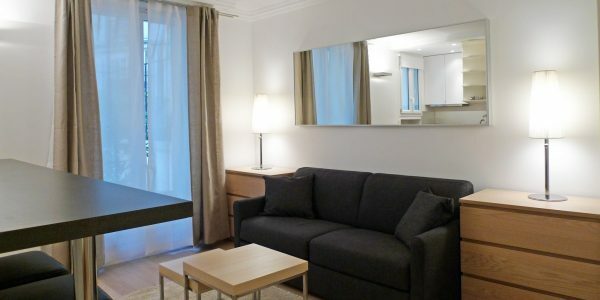 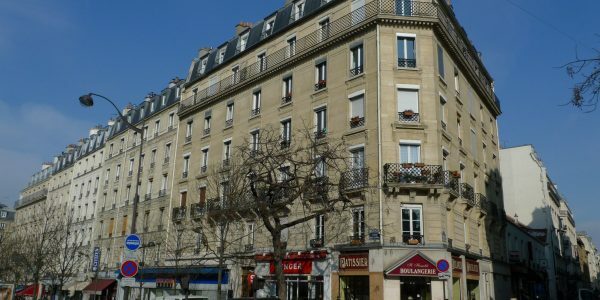 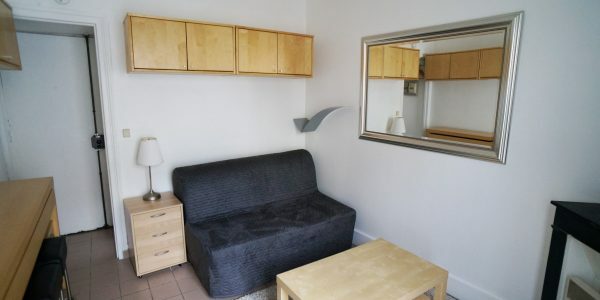 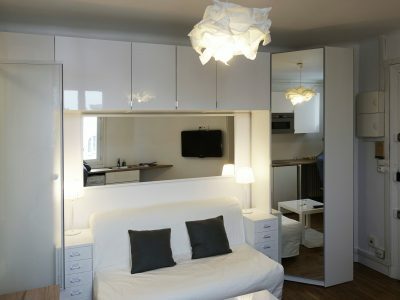 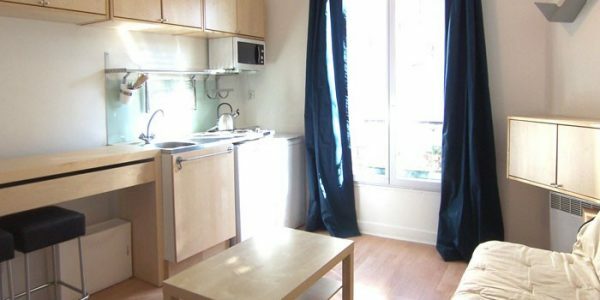 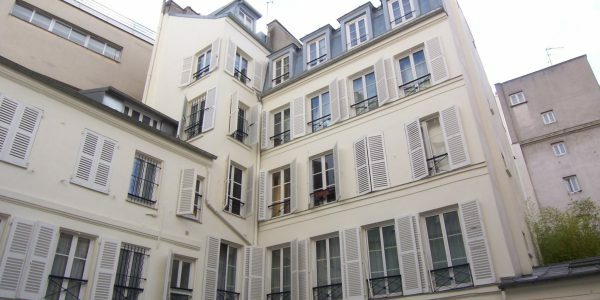 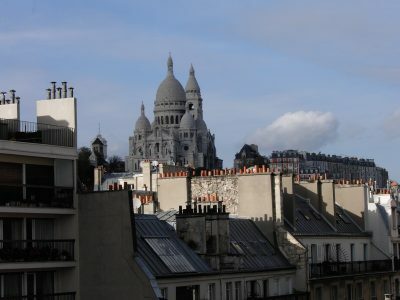 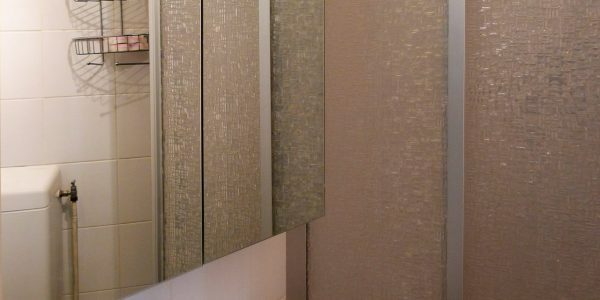 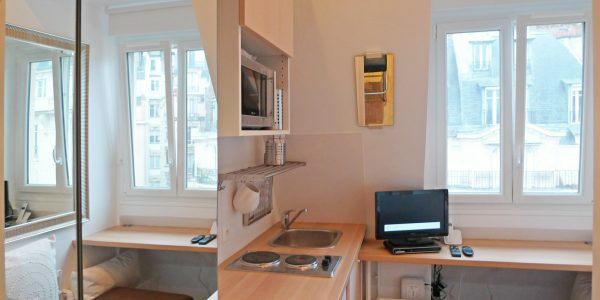 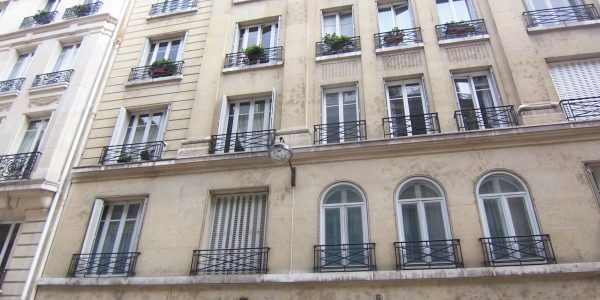 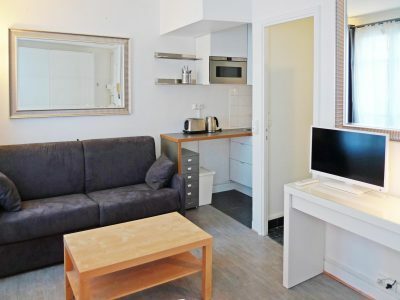 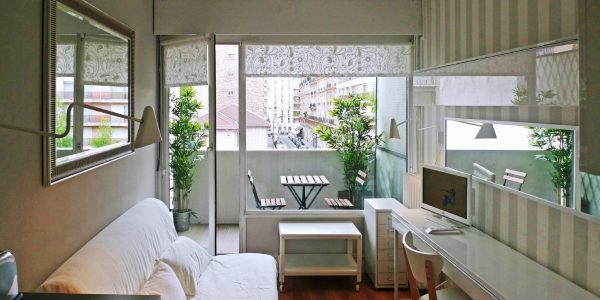 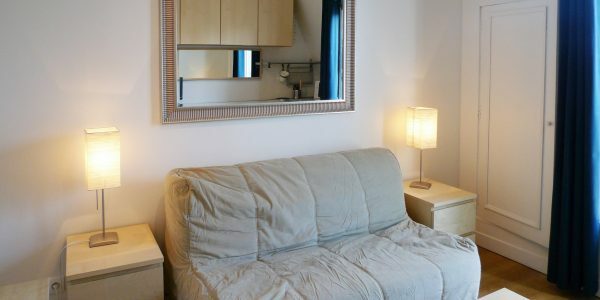 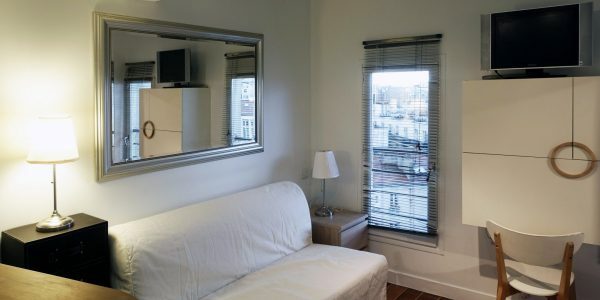 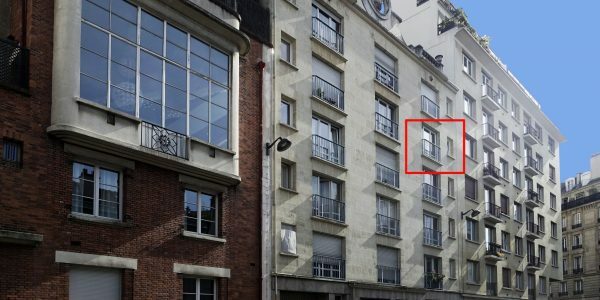 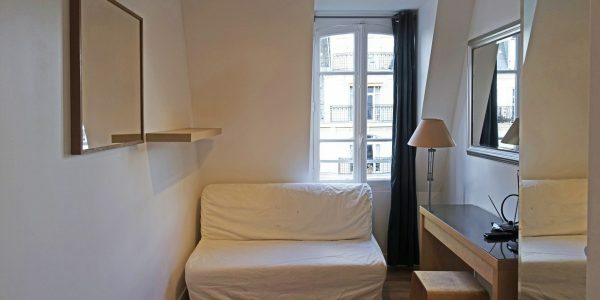 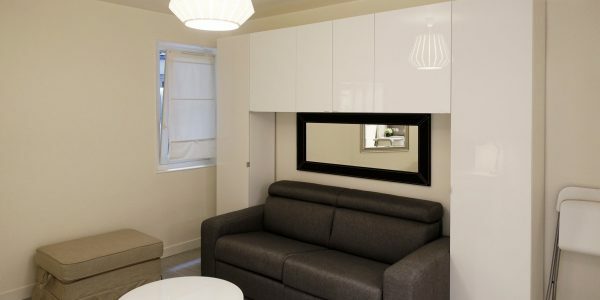 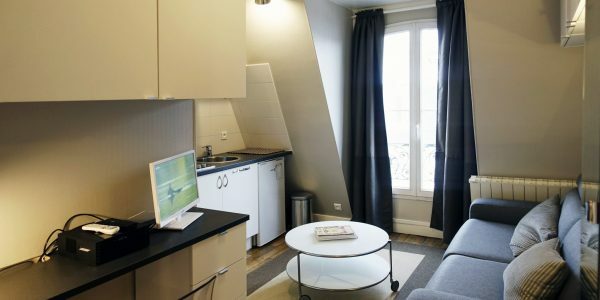 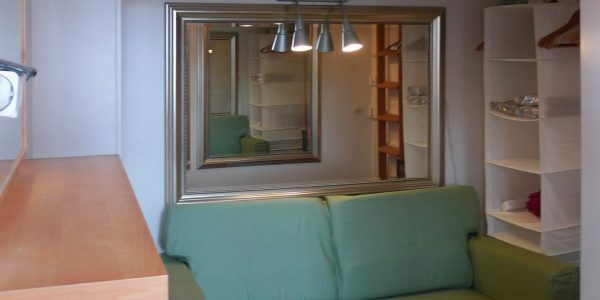 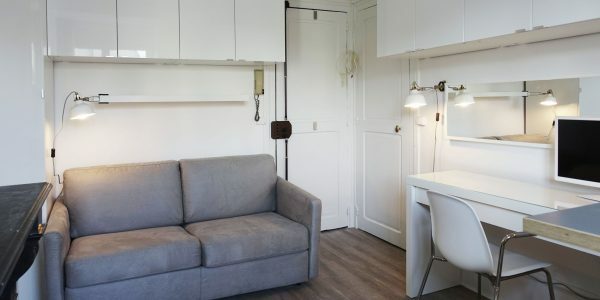 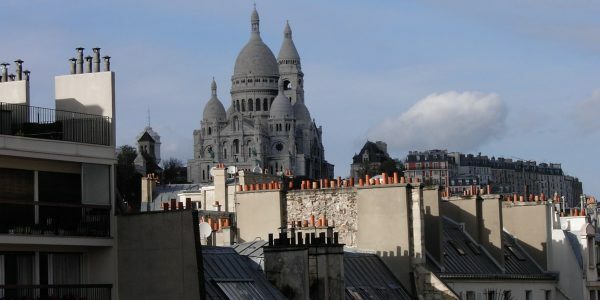 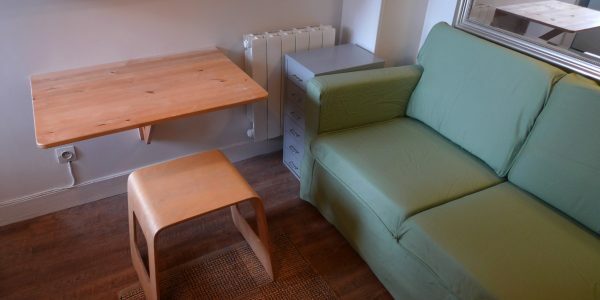 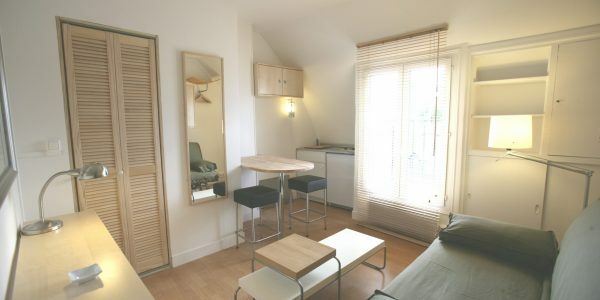 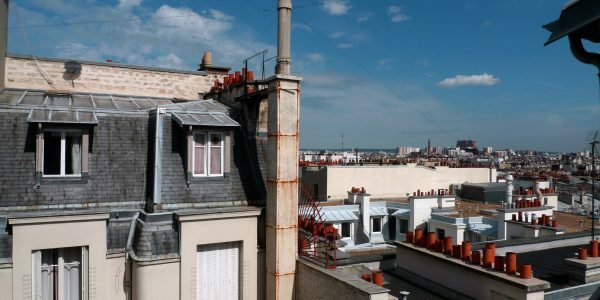 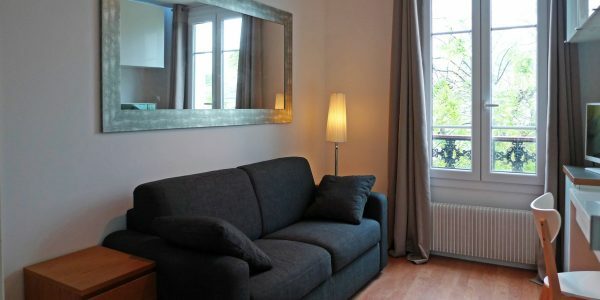 Rue de l’Abbé Grégoire, in a gorgeous and secure bourgeois building, charming studio on the 6th floor (no elevator). 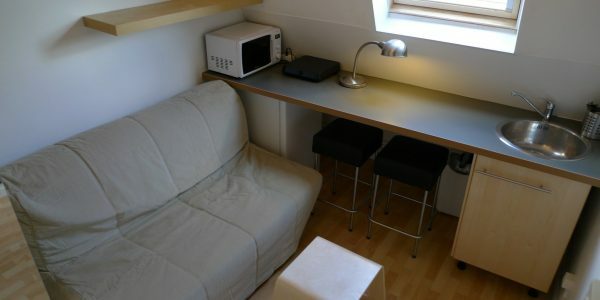 Mezzanine bed, quiet and plenty of natural light, small sofa, work station, storage, folding table, hardwood floors. 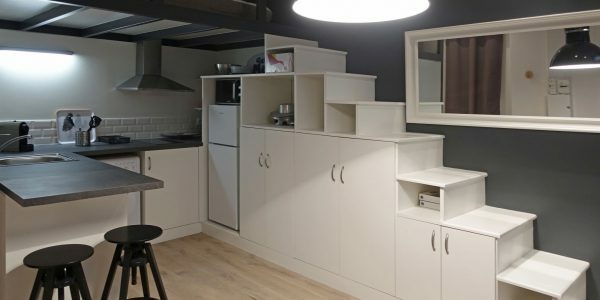 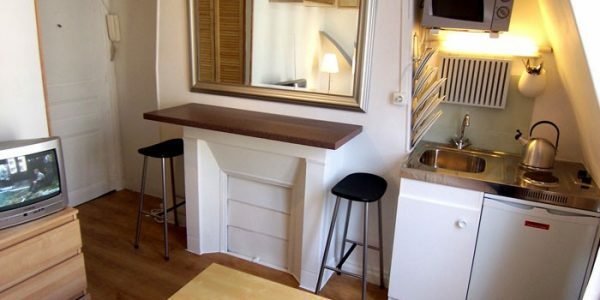 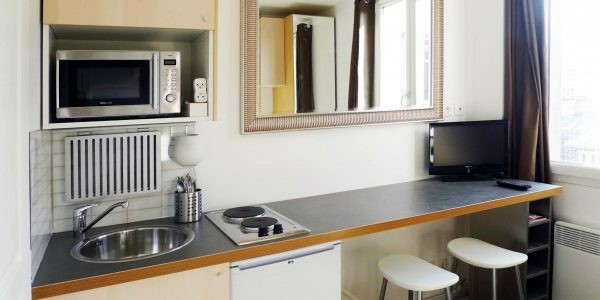 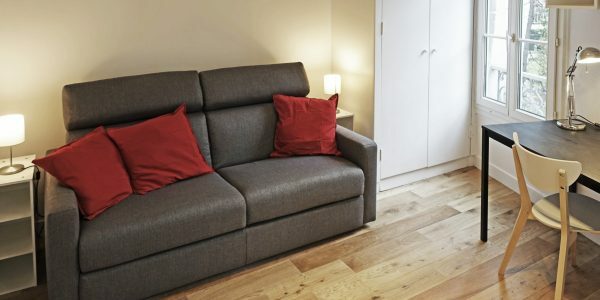 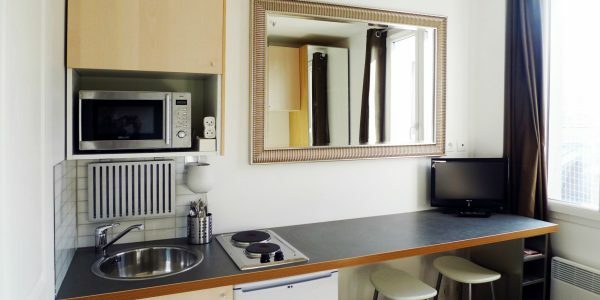 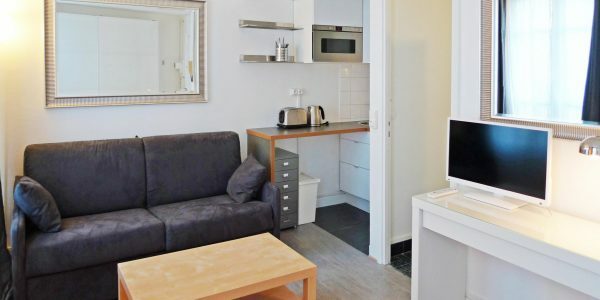 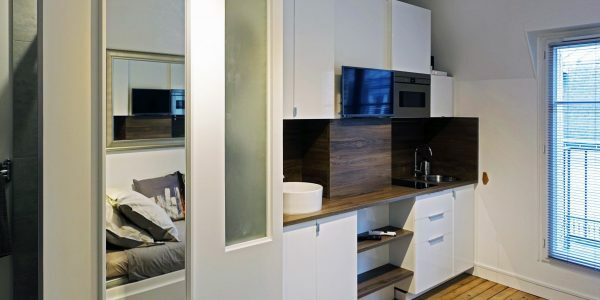 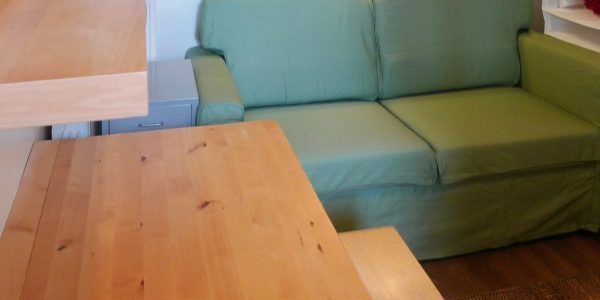 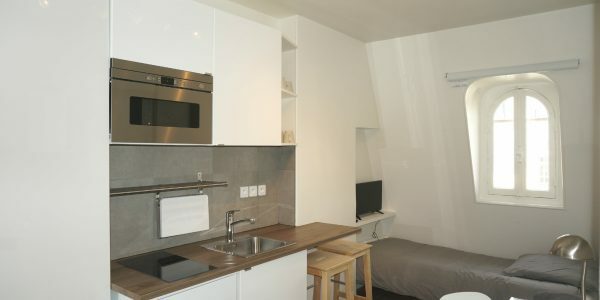 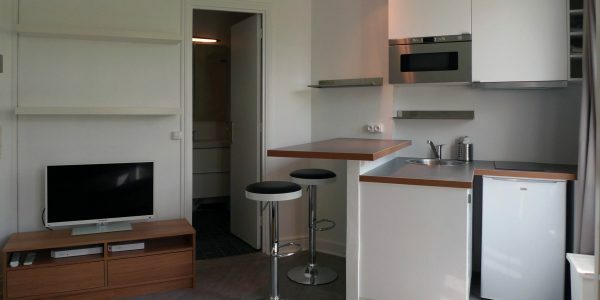 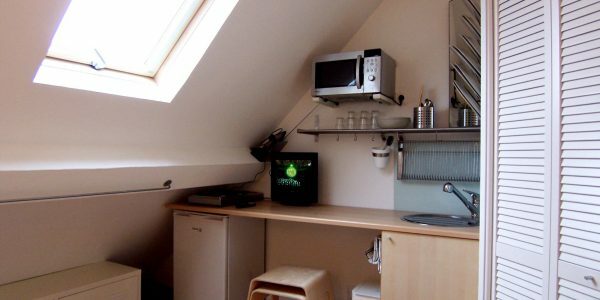 Small kitchen with electric hotplates, refrigerator, microwave oven, LED TV, internet and landline. 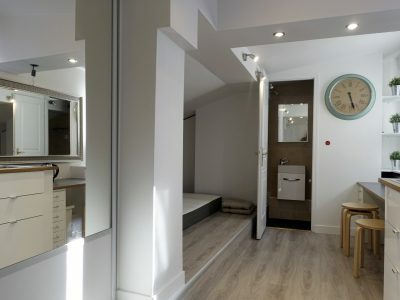 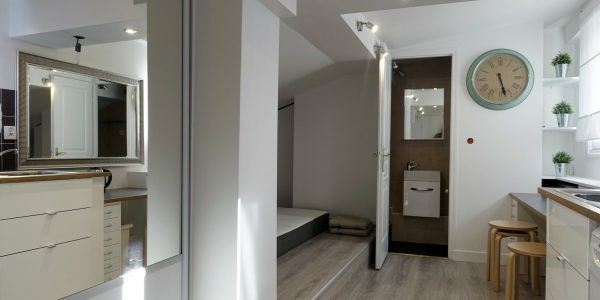 Beautiful bathroom with shower, sink and toilet. 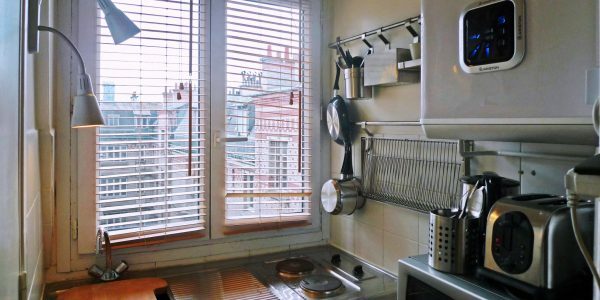 High quality heating system, ACOVA boiler. 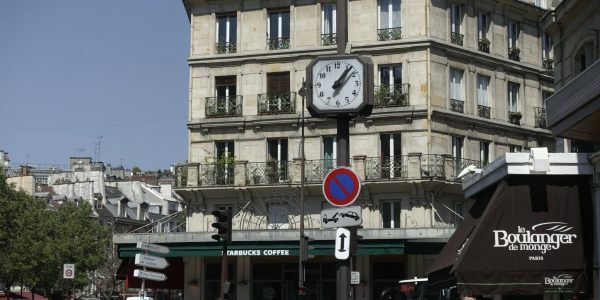 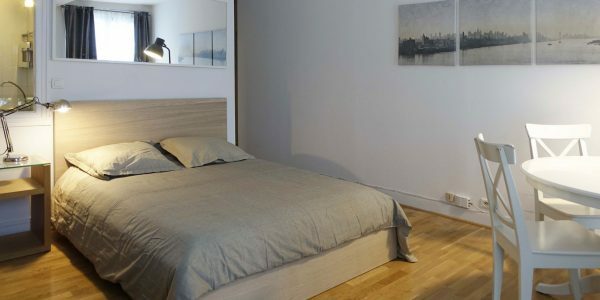 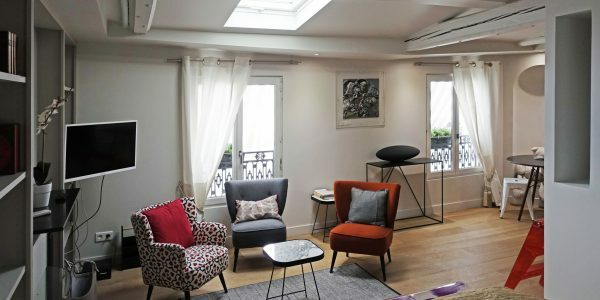 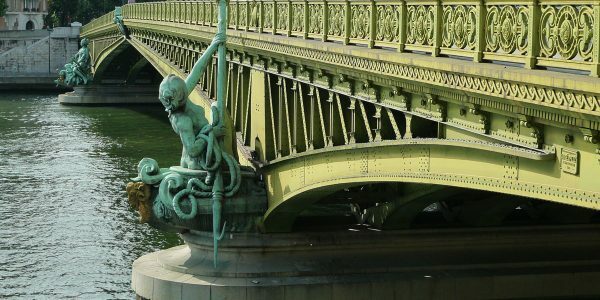 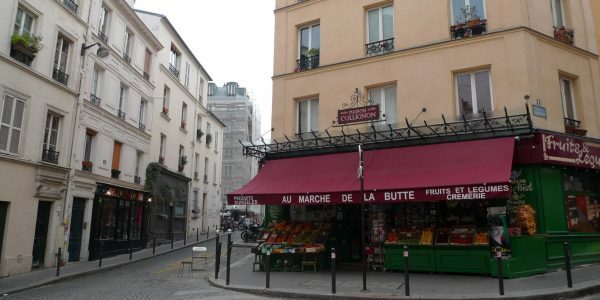 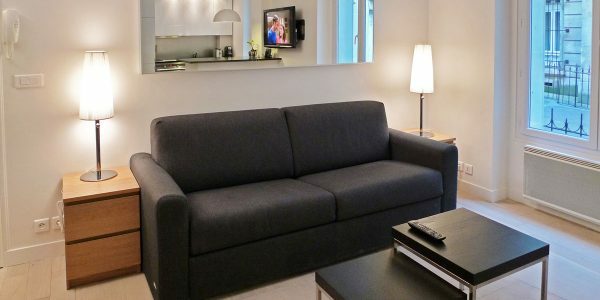 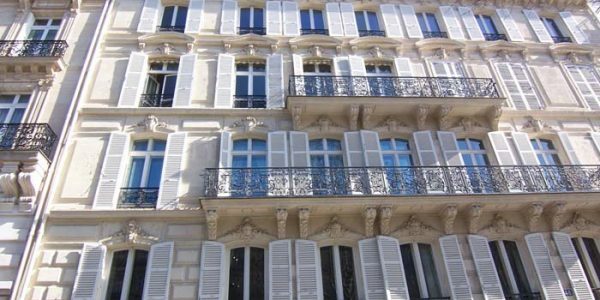 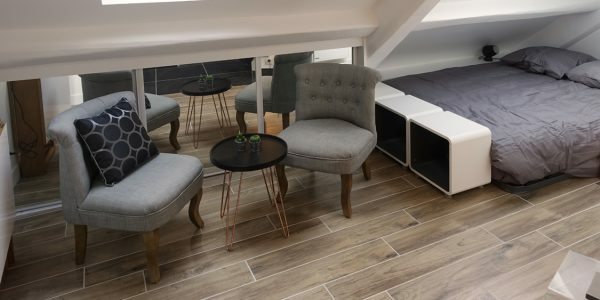 Located in the heart of the 6th arrondissement, close to shops, public transportation, and 50 meters away from the Bon Marché, next to the famous Grégoire Ferrandi school, and 10 minutes away from St Germain des Près. 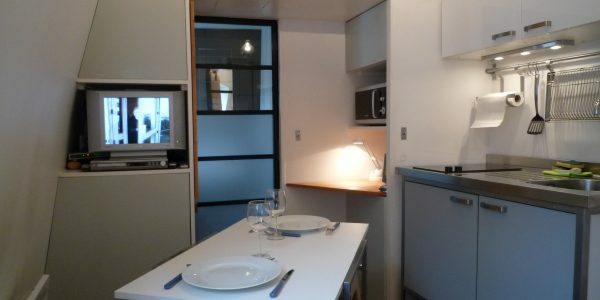 Completely renovated in May 2014. 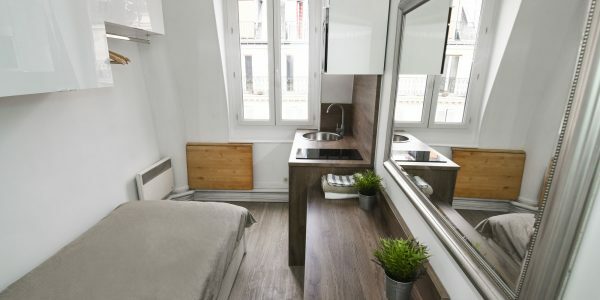 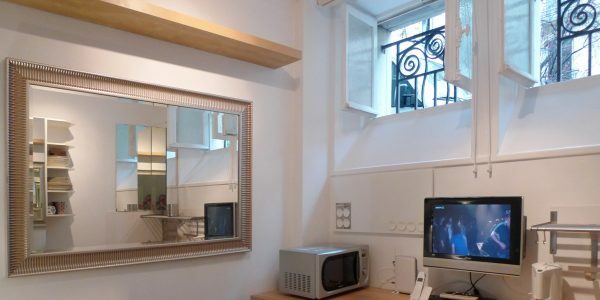 Place du Docteur Félix Lobligeois, beautiful studio in the Batignolles neighborhood, on the 4th floor with 2 large double-paned windows ..